Viknesh Vijayenthiran August 22, 2018 Comment Now! 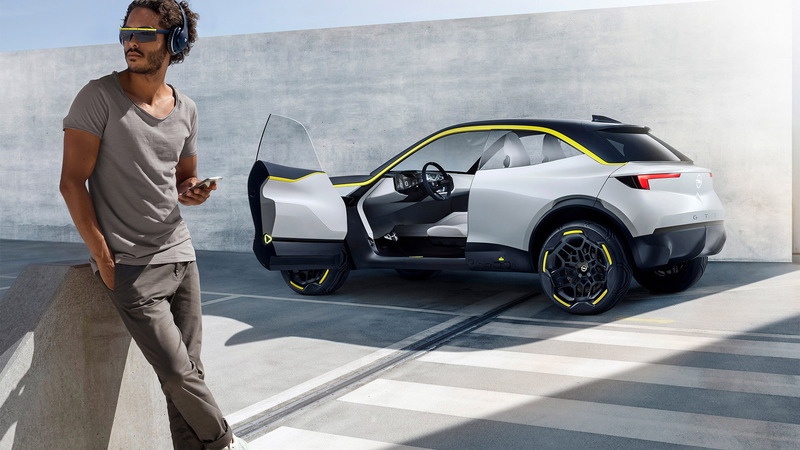 The concept is called the GT X Experimental, and it's a compact crossover designed under the themes of “bold and pure,” the characteristics of Opel's new design language. The concept also features an electric powertrain to signify the German brand's plan to electrify the full lineup by 2024. Key to design is the new face where two strong axes intersect at a prominent logo in the front grille. The vertical axis is emphasized by a central hood crease while the horizontal is emphasized by a chrome strip and wing-shaped daytime running lights. You'll also notice the grille aperture stretches the width of the front fascia and encases the headlights, a treatment made popular on muscle cars of the 1960s and '70s and of course on the current Dodge Challenger. Opel calls it the Vizor due to the similar shape to a motorcycle helmet's visor. This area also integrates cameras and sensors required for future self-driving systems destined for Opel's cars. The bold and pure theme continues into the interior where each usual function or module has been questioned with the aim of achieving purity by removing all unnecessary design elements. The result is an uncluttered look with only the bare minimum of controls. The driver is greeted by one wide, single screen Opel calls the Pure Panel. It provides all the information the driver needs in a clear, uncluttered fashion. This clean high-tech approach flows throughout the interior. For example, the four seats look like they are floating while removable speakers nestled under the headrests also allow an out-of-car sound experience. The fact Opel chose a crossover body style should be no surprise to anyone following recent automotive trends. 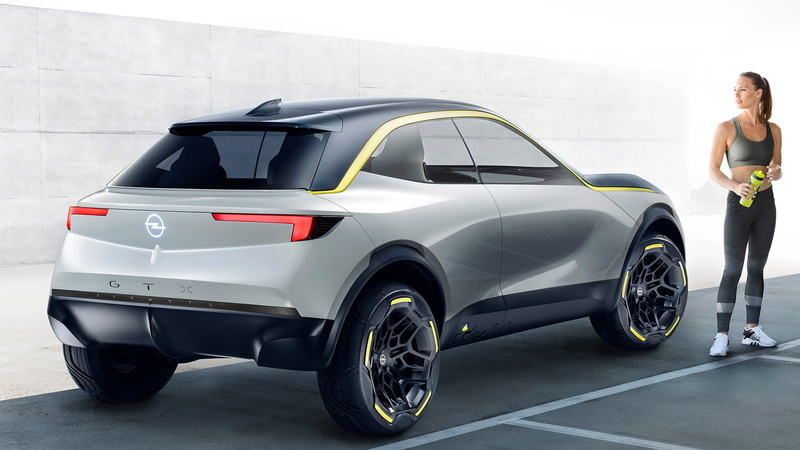 Opel predicts that 40 percent of its sales will be crossovers by 2021. The GT X Experimental hints at a compact crossover, with its total length measuring 13.3 feet and encompassing four doors and a tailgate. Opel built the concept around a lightweight architecture whose origin is unknown but possibly linked with the EMP1 (also known as CMP) platform for subcompact and compact cars developed by PSA Group, Opel's parent. 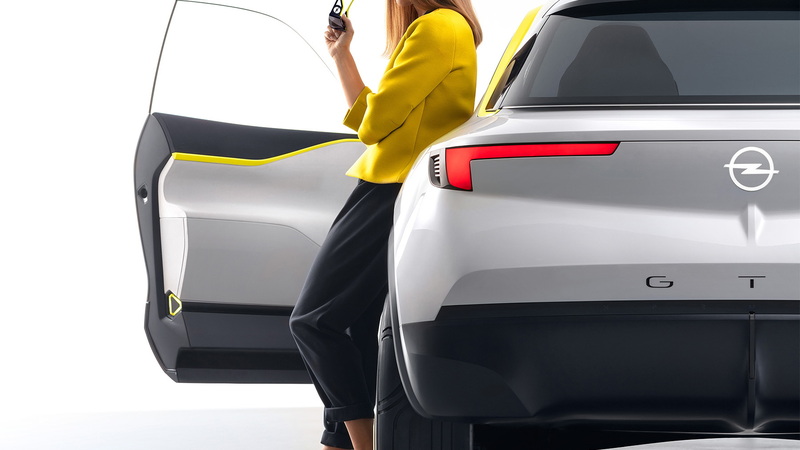 Opel didn't say much about the powertrain but did confirm a 50-kilowatt-hour “next-generation” lithium-ion battery. Inductive charging and Level 3 self-driving capability are also included. 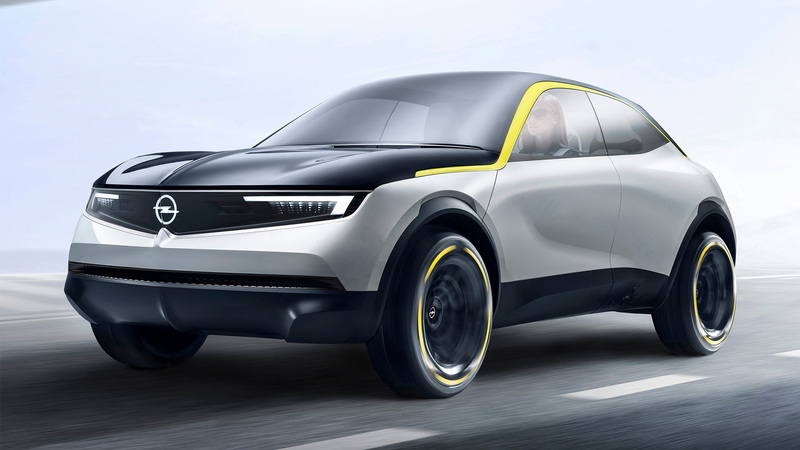 Coinciding with the reveal of the GT X Experimental is the introduction of new brand values emphasizing Opel's German roots and accessible yet still exciting offerings, which the concept is meant to embody. Unfortunately, Opels designed in line with this philosophy were only conceived following the automaker's sale by General Motors to PSA Group last year, which is why the first examples aren't due until the middle of the next decade. In the meantime, Opel is focused on cutting costs and improving efficiencies, with the automaker in July announcing its first profits in almost two decades. The next steps will be to swap from GM to PSA Group platforms, expand into new markets, and add more electrified models including electric cars.